It's October! To celebrate, all my posts will be horror related. So excited! Instead of talking about mythical creatures, I'll be doing demons. Fun. Well, most of my posts will be horror related. I'm going to NYC Comic Con in a week and I will be blogging about that! Among the demons of Greek and Roman mythology, one of the most famous is Alastor ("avenger"), popularly known as the evil genius of the household. As a spirit of the household in Roman mythology, he incited people to murder and commit other sins. In Greek mythology, Alastor was originally a mortal, the son of Neleus who was the king of Pylos. Later, he became a minor demon after he was slain by Hercules. 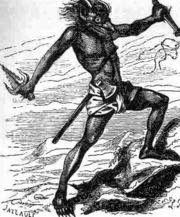 In Zoroastrianism (one of the world's oldest monotheistic religions) demonology, he is know as "The Executioner." Christian demonology refers to him as a possessing entity and the chief executioner to the monarch of Hell. In Greek mythology, he was also associated with sins that pass down from parent to child. His name means "avenging god" or "avenging deity." He was the personification of familial feuds. Also known as a tormenting spirit or a Nemesis, Alastor is often called the destroying angel and is sometimes used as a generic term for evil spirits as a whole. Percy Bysshe Shelly wrote a poem (Alastor or The Spirit of Solitude – 1816), which warned idealists that if they're always searching for an ideal love, the world will be their tormentor, and they will die a lonely death. Alastor has also been made famous by Capcom when they named one of the characters in their video game Viewtiful Joe. 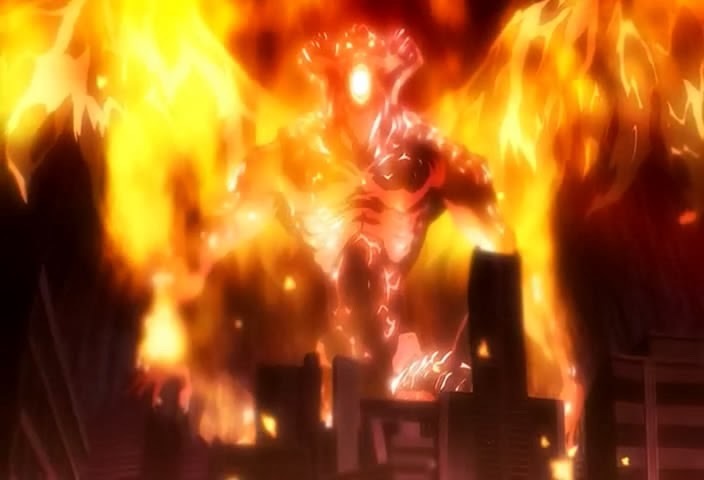 Alastor is also featured as a sword and winged devil in their video game series Devil may cry. This is only small sample of his appearance in popular culture. The second picture reminds me of how Hades was depicted at Camp Half Blood in the first Percy Jackson movie. I'd have to watch that movie again. It was pretty good. I'll have to look up my Greek mythology, see if he rates a mention in the book I've got. I can't remember. I found him interesting, but it was really difficult to find a lot of information on him. It was odd since he's in pop culture a lot. Have fun at Comic Con. I'm going to try and make the Sleuthfest 2014!! Thanks Diane! I haven't heard of Sleuthfest. I'll have to look it up.